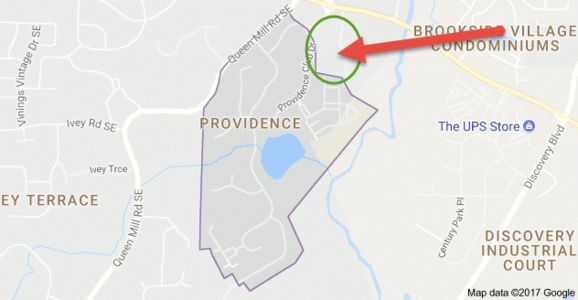 Request for preservation of the 6 acres of historic land currently pending development by Pulte Homes, in the Providence subdivision at the corner of Queen Mill Rd. and Veterans Memorial Hwy (Mableton, GA, USA). The residents of the Providence neighbourhood, local Cobb County residents, and concerned supporters both local and international, submit this petition as an appeal to Pulte Homes and the Cobb County Board of Commissioners, to ask for the preservation of the 6 acres of land currently pending construction within the Providence subdivision by Pulte Homes. The Providence subdivision is a 145-acre gated housing development located within the Chattahoochee River Line Battlefield. At the current time, there is a 6-acre land parcel that is marked for additional townhome construction. This site contains two Civil War forts and a significant trench line deemed worthy of preservation by an archaeology survey. This site is adjacent to the clubhouse and is currently threatened by Pulte Homes development. In agreement with the archaeological survey, this petition asks that the entire 6-acre site remain in its natural state as a historic nature preserve in perpetuity and be nominated to the National Register of Historic Places. This petition asks that Cobb County designate this parcel of land for preservation for both its historic value and the growing need for designated greenspace in a community that is rapidly being built out.